Shriram Joy: Affordable homes in Chennai! Shriram Properties has launched Shriram Joy residential apartments in Chennai. The project is located in Guduvanchery, Chennai. It has 1 BHK, 2 BHK, and 3 BHK apartments in different configurations for home buyers. The homes are affordably priced and come with all the amenities that will make your life comfortable. The homes are a few short steps away from the hustle and bustle of the city, and afford a clean and peaceful environment, with extensive landscaped areas and lush greenery that provide a sense of well-being. 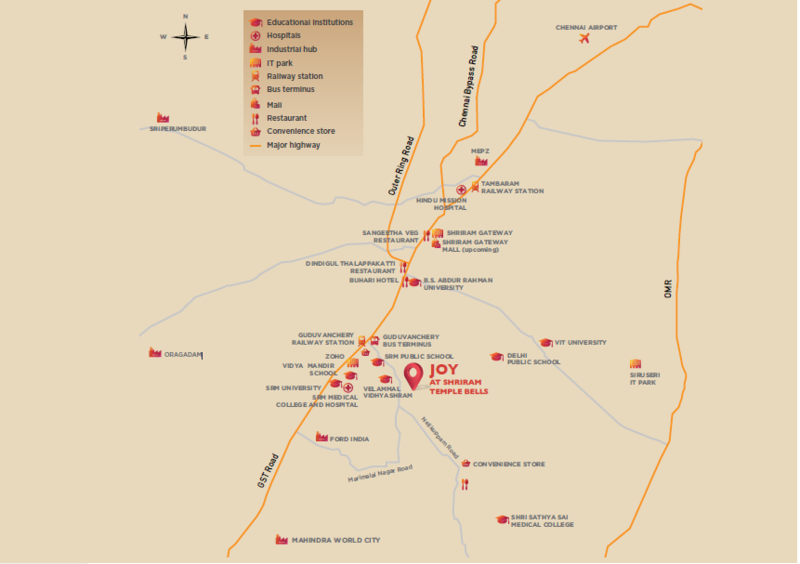 The homes are located in a 36 acre township in Guduvanchery and are priced affordably. Shriram Joy Chennai is a new luxury housing which is designed to preserve the environment while developing a residential oasis for home buyers. The complex is designed amidst beautiful greens which makes it a calm oasis. Shriram Joy Guduvanchery is designed with a world-class design and constructions features. The complex has an ultra-modern gymnasium, swimming pool, amphitheatre, basket ball court, tennis court; kids’ play area, and much more. The homes have complete security for you can live stress free. There is reserved car parking for residents. 24-hour power and water supply make life easy. There is something for every member of your family at Shriram Joy! The area is one of the prime locations in Chennai, and has is near railway stations, major IT hubs, good schools, and colleges. It has excellent infrastructure as well as connectivity to surrounding areas via road, rail and metro line. A number of leading hotels, hospitals, religious places, and important landmarks IT hubs are near the project. The great locality and the amazing array of amenities make it one of the most sought after projects in the area. All social and civic amenities are within your reach from the residential complex. It is a dream home for buyers. Chennai is of the leading real estate destinations in India. Excellent job opportunities, education prospects, a relaxed and comfortable lifestyle and more, make it one of the most desirable locations for home buyers. IT/ITes and automobile sector are driving demand from the real estate market. 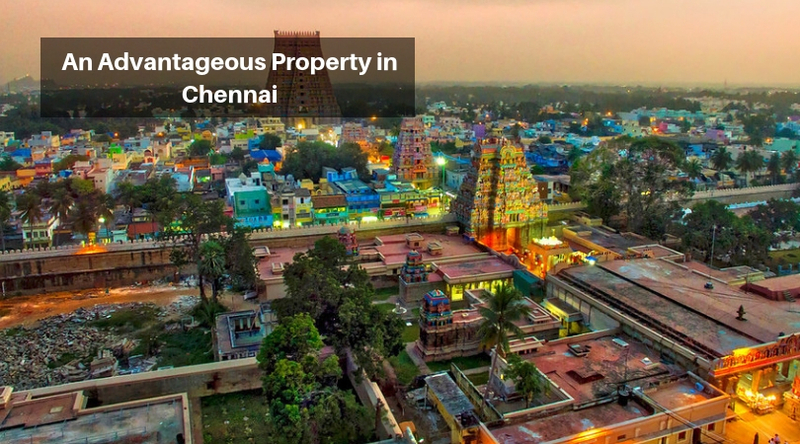 The city’s growing infrastructure, education, and employment opportunities will lead to a continued growth in the real estate market of Chennai! Shriram properties are one of the leading developers in South India and have a portfolio that consists of over 20 million sq. ft. of built-up space. The company is currently working on 45.85 million sq. ft. of area. The renowned group aims to deliver the highest standards of living and is known for timely delivery of its projects. Live a happy life, in your own, secured space at Shriram Joy.Shriram joy price is highly affordable and is an ideal investment opportunity for home buyers! A sprawling 36 acre life next to a beautiful lake. From a brand trusted for over 40 years.